Updated Dec 6, 2008 to work with Numenor's Drivable Cars without NightLife game add -on. I also improved the convertible top cover. The recolors are not changed, they will still work with the new mesh. 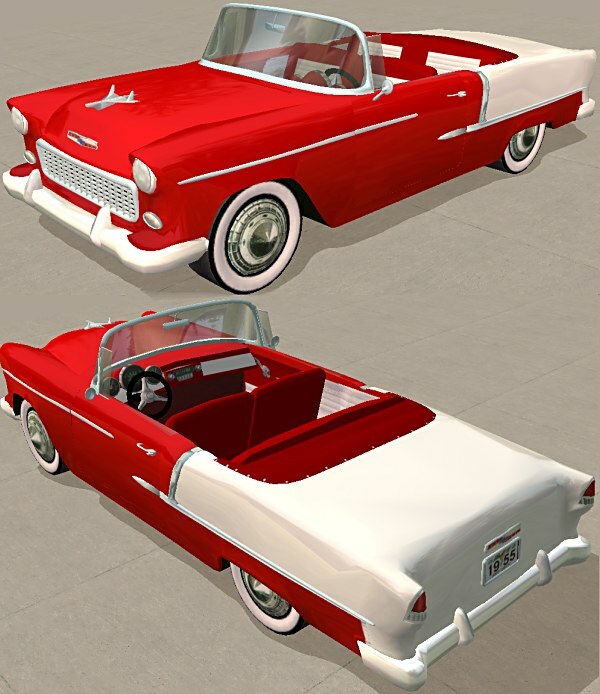 Although the car has a rear seat, your Sims will not use it - there is no animation for a Sim to get in the back seat of a two-door car - so your Sim passengers will treat this car as if there was no back seat. Model was modified from the Maxis sportscar using the .Ms3dASCII export/import of SimPE. The car itself includes the mesh and the Red/White exterior and interior color options. 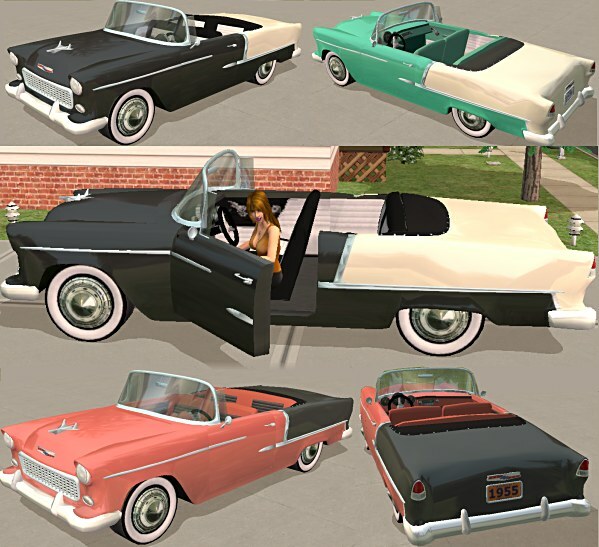 The recolors file includes the other three exterior and interior color options seen in the picture.